The same flavour as grandmotherâ€™s potato gnocchi, those soft and delicate ones, passed on the grater one at a time. 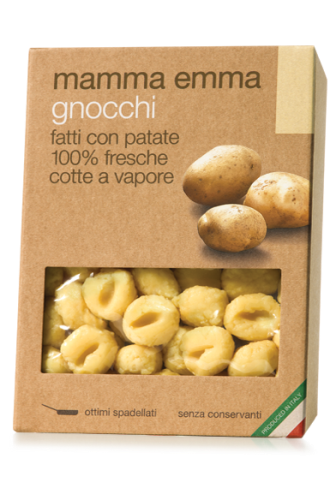 mamma emma gnocchi are hand-made and preserve that unmistakeable and velvety taste of home made gnocchi, capable of enhancing any recipe. Try them with a brie, crunchy bacon and quail egg sauce!